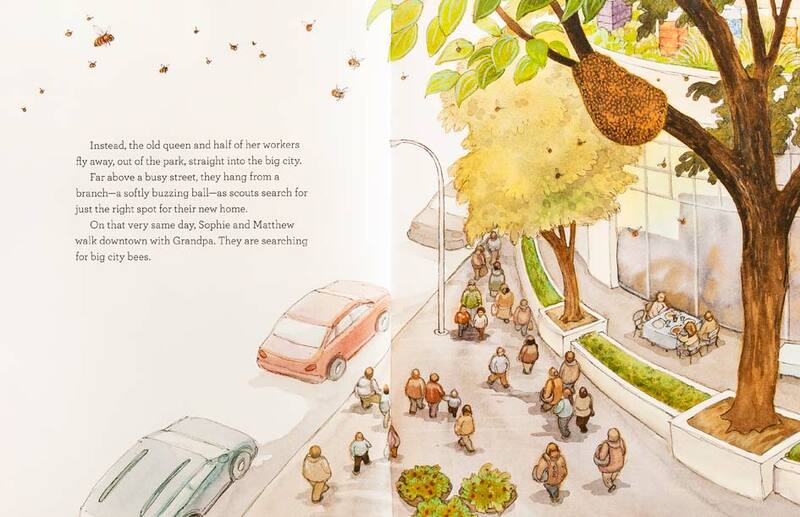 In a world where the plight of the honey bee is now being taken seriously, this lovely book gives children an insight into the important role bees play. 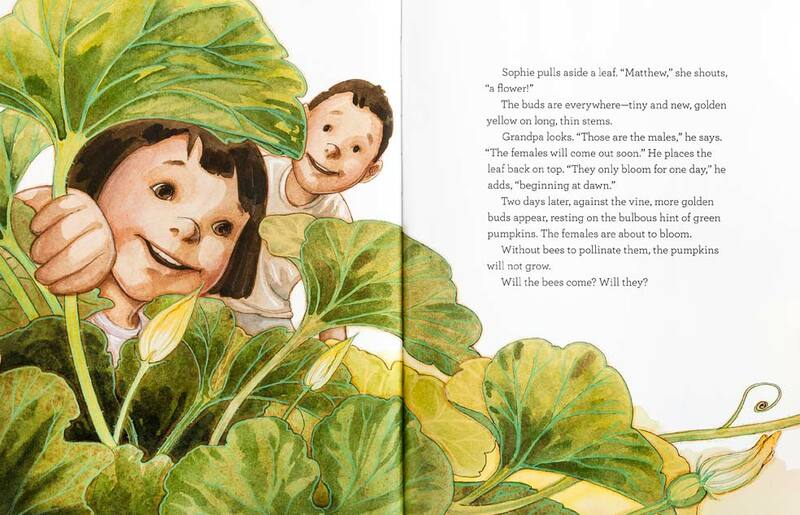 In a big city, two children are fortunate to have the guidance of their Grandpa, a man who knows the seasons, the ways of gardening and the special place of the little bee. We follow the children and their garden through four seasons and discover the excitement and fulfilment they experience growing their very own pumpkins. So where do the bees fit in? In this city many families people don’t have their own gardens, they work plots in a community garden. 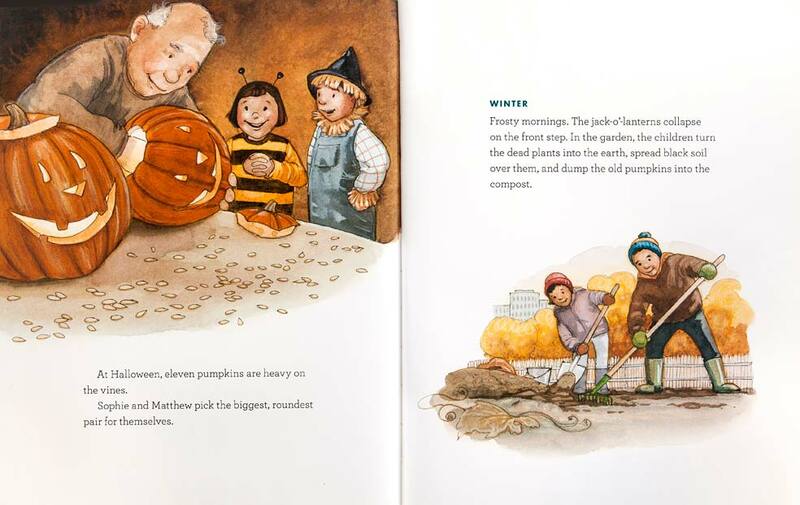 Grandpa shows Sophie and Matthew how to prepare the ground with compost, but they must wait until it’s hot in summer to plant the pumpkin seeds. The children know that for the plants to produce pumpkins the bees must come to pollinate them. The pumpkin plant will have male and female flowers, but the female flowers will stay open for just one day! Will the bees come and will they come at the right time? The children are concerned, so Grandpa takes them to look for big city bees. Meanwhile in the city’s biggest park, a healthy hive is about to split. A new queen has been born and to avoid a fight to the death, the old queen and half the bees create a swarm and fly off to find a place to build a new hive. High on the rooftop of a busy hotel, large brightly coloured boxes rest humming with thousands of bees. Someone at the hotel knows how important bees are. The wild swam begins to build a hive on a tree beneath the hotel. The bees have chosen this spot because the rooftop has a flower garden planted especially to feed the roof top bees. Lots of sweet smelling lavender and mint grow there. 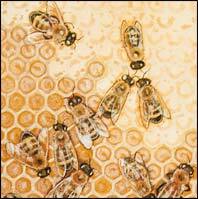 Will the beekeeper find the wild hive? 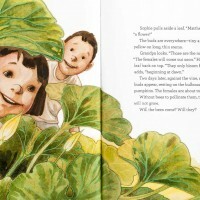 Will the bees find the children’s garden? Will they pollinate the female flowers while they bloom? 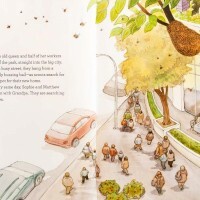 Beautiful illustrations show the bee’s at work and richness of the children’s experience. There are many interesting things to discover about bees, like the difference between pollen and nectar, what they are used for and how the bees make their honey. Bees pollinate about one-third of our food crops and without this we would not have many of our delicious fruits and vegetables. 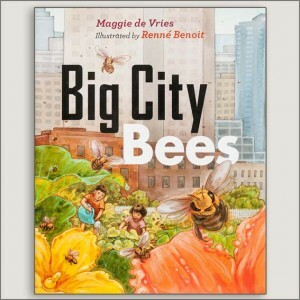 Readers are encouraged to support the bees by making gardens that can nourish them. 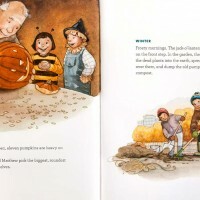 A delightful story with a sweet ending, as the roof top honey tastes faintly of pumpkin and mint! 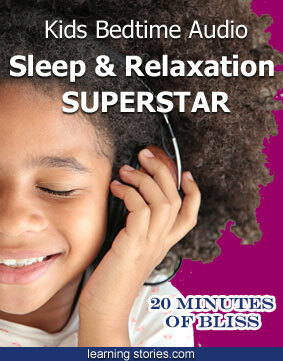 A special book and an important topic for young ones to learn about.